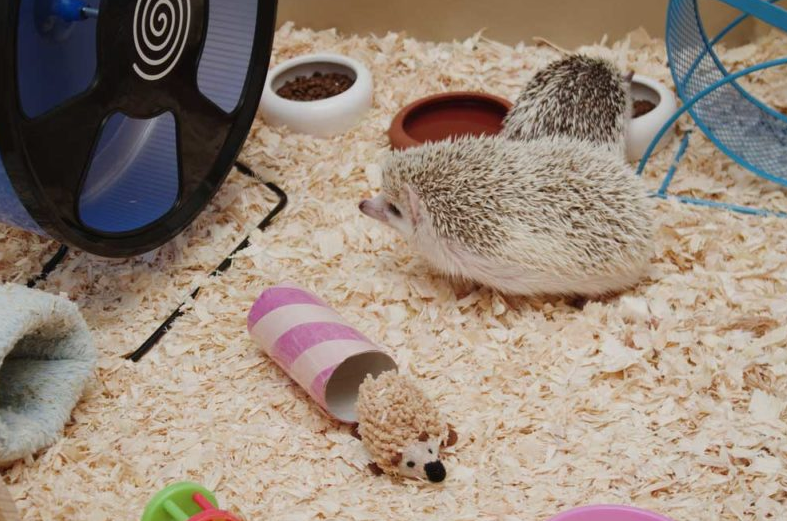 Once in a while, you can choose the papers as a best bedding for hedgehogs. Some of these options involve the care fresh ultra by a healthy pet, the paper shaving animal shaving, clean and cosy Kaytee, cell-sorb plus by Estes’ and the fresh world bedding by Sunseed. The good thing with these beddings is the fact that they are made from recycled papers. This makes them effective and less costly compared with the other forms of beddings. Besides, these beddings are light and soft which makes it easy to spread them over the floor of the cage. However, these papers can easily stick on the hedgehog spikes especially when their spikes have had contact with water. They are good beddings but not the best to use. they are also very absorbent and can easily absorb waste materials like the urine. Some like fresh world beddings have chemicals like baking soda that helps to absorb waste materials and reduce the odour that may arise from these waste materials. Moreover, you can opt to acquire the wood beddings for the hedgehogs. Some of the best wood beddings available in the market include the aspen shavings, cedar shavings, pine shavings and Kaytee soft granule blend. The pellets that are found in the Kaytee blend are very absorbent and nice for hedgehogs of different ages and sizes. Beddings from pine shavings, on the other hand, are good but not the best for small hedgehogs. This is because they are not good at absorbing materials and that the oil found in pines is dangerous for the health of your pet. Moreover, they are dangerous on the delicate feet of the small young hedgehogs and can easily cut them. This means that it would be better if you just avoided this wood product. Cedar shavings may be cheap and affordable but they are not the best kind of beddings for hedgehog. This is because they are full of toxins that may eventually harm your pet. The toxins in these shavings cause allergic and respiratory issues that may eventually damage the animal’s liver. Do not be confused by the natural aroma that is produced by these plants. It would be best if you avoided them all together. For aspens, the natural aroma produced as well as the affordability that comes about with these shavings is very exceptional. This makes them better than the cedar and pine shavings. However, aspens produce a lot of dust and they tend to stick to almost everything. Moreover, aspen is better than the other forms of wood shavings. Additionally, you can use another form of beddings like the fabric beddings and the corn cob beddings. Fabric beddings involve the use of materials like pillowcases, fleece or even towels. These materials are easy to use, allow the hedgehog to hide easily and also absorb the waste materials like urine. Moreover, these materials are more preferred by a large number of people because they can easily be reused after washing. They are also better than any other form of beddings since you can use them to handle the hedgehog by getting protection from the spikes. Another option of beddings is the corn beddings that are soft and tend to easily absorb liquids. They are also less expensive but are not the best since they do little when it comes to odour. You should also note that these materials are susceptible to moulds growth. Every caged animal requires some form of beddings where it can easily relax and feel free. Hedgehogs, when kept as pets, are not exceptional cases. However, they require a bedding that does not damage their body in any way. They also require a bedding that easily absorbs odour and liquids in order to keep them healthy and comfortable.